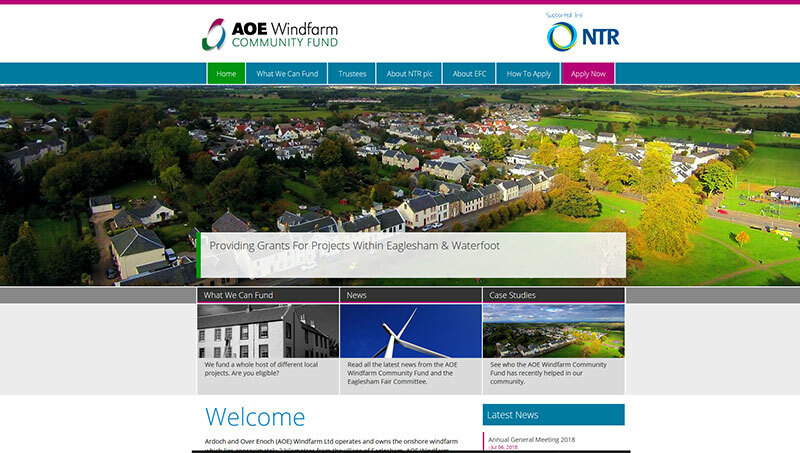 Concept were commissioned by AOE Windfarm Community to design and build their website. 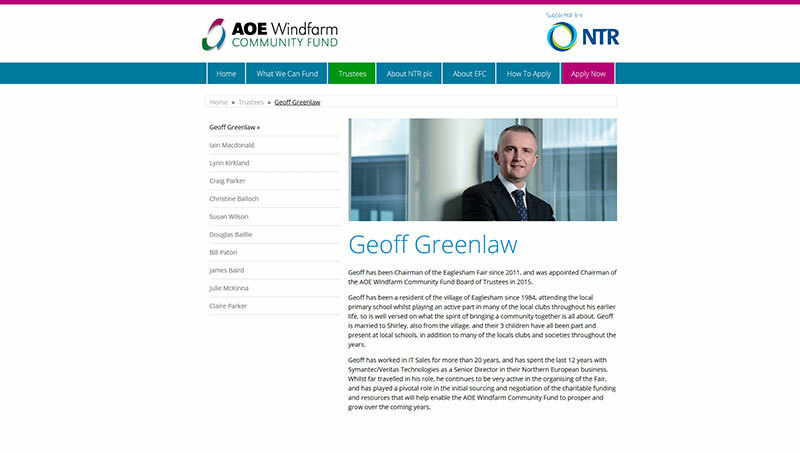 They wanted a site that included a Content Management System so that it could be easily maintained by a member of staff. 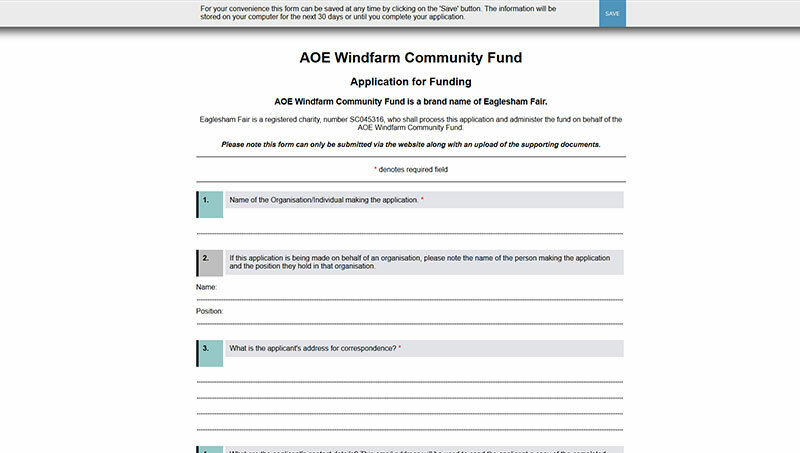 An Application Form also had to be built to allow users to apply for funds. This form allows for the uploading of related documents as well as saving a users progress.